Things are crazy in North Korea right now. After hanging out with Dennis Rodman for a bit, North Korean dictator Kim Jong-un has decided to step up his propaganda by threatening to launch a nuclear attack on the U.S.
There’s no question that North Korea’s got nukes, but they might not be able to hit the U.S. for another few years. 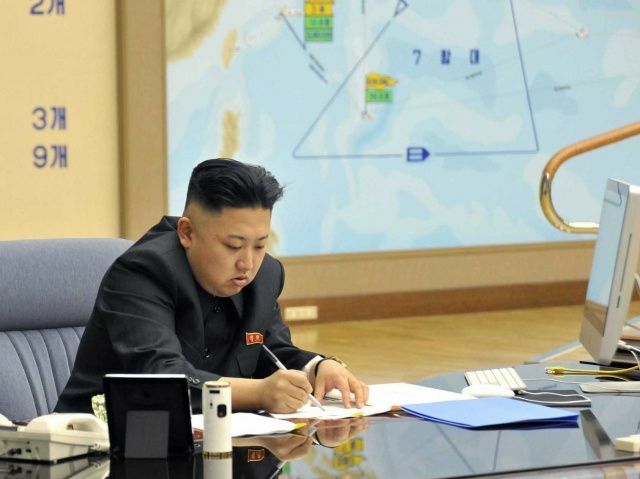 Plus, Kim Jong-un is running the show from an old 21-inch iMac that’s probably still running on OS X 10.5 Leopard, so we’re safe for now, right?